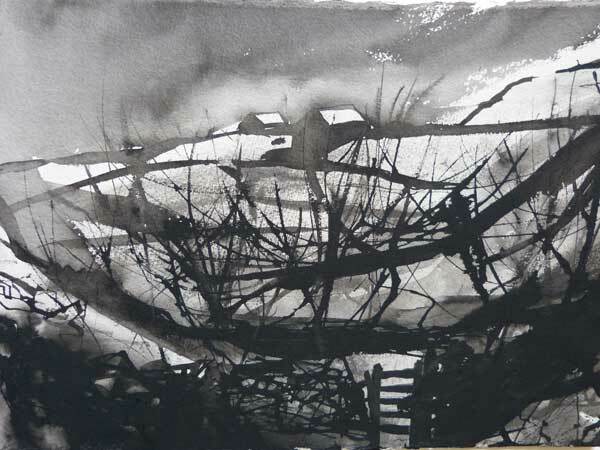 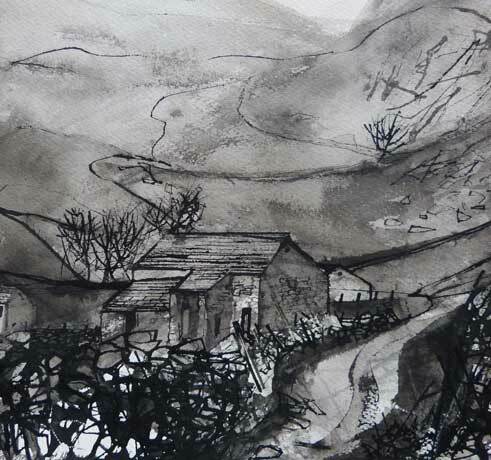 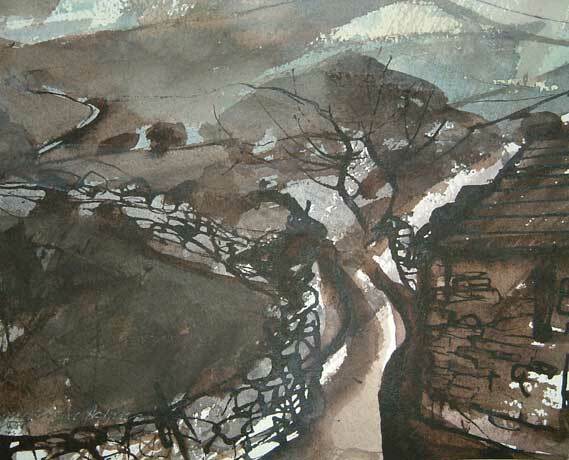 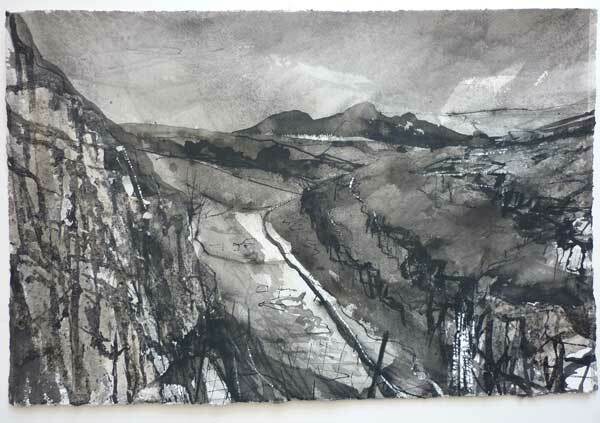 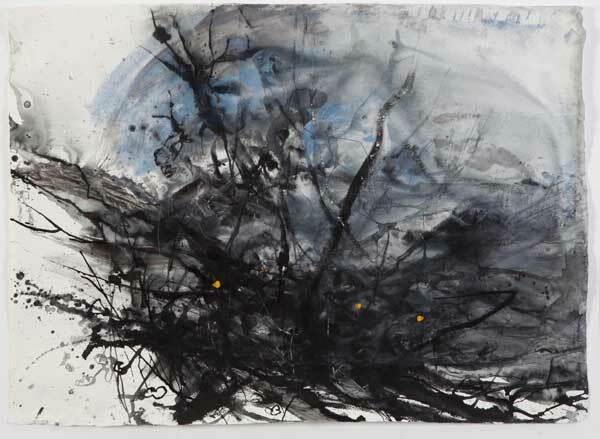 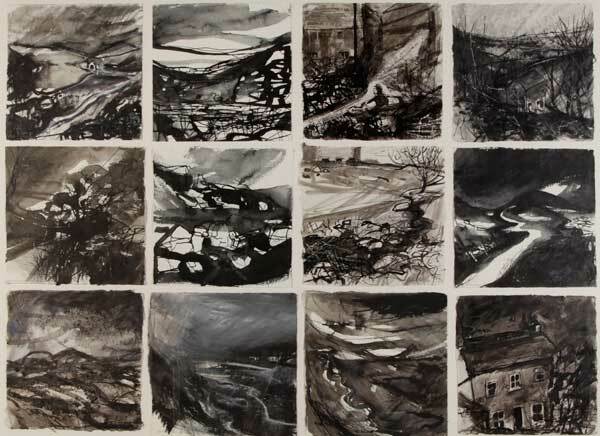 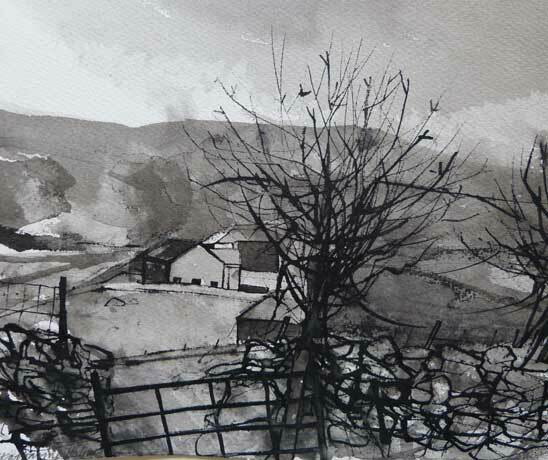 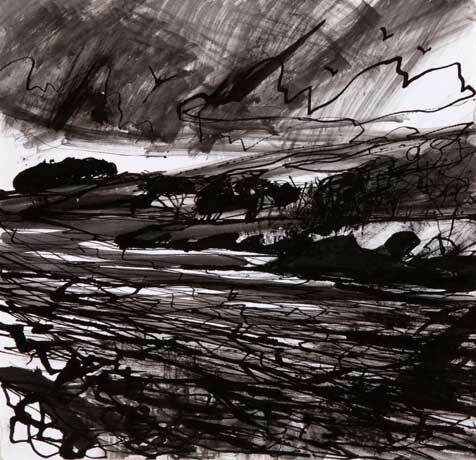 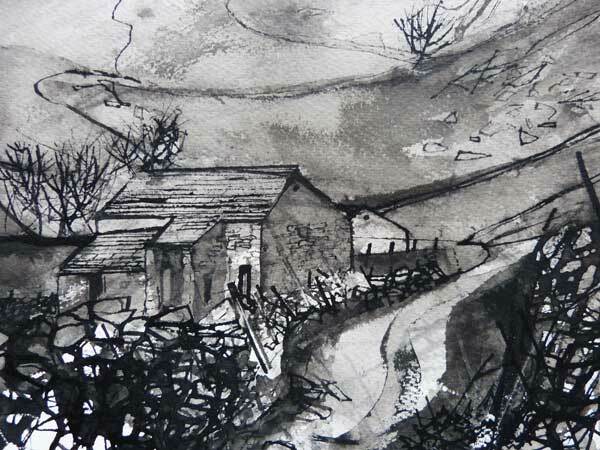 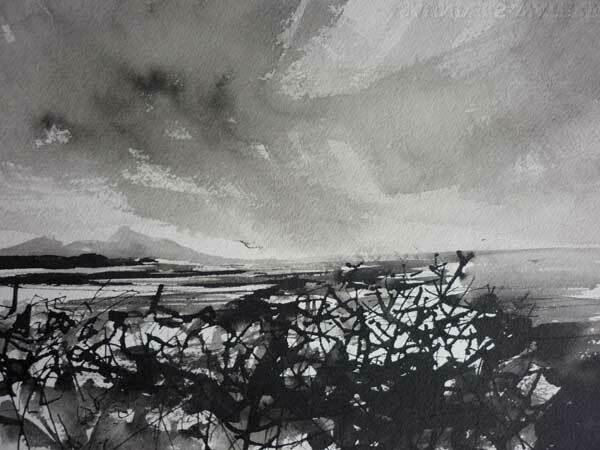 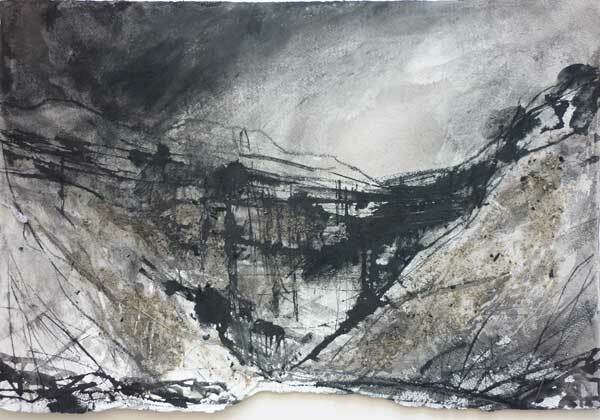 Drawing has always been important to Katharine since student days and remains integral to her work. 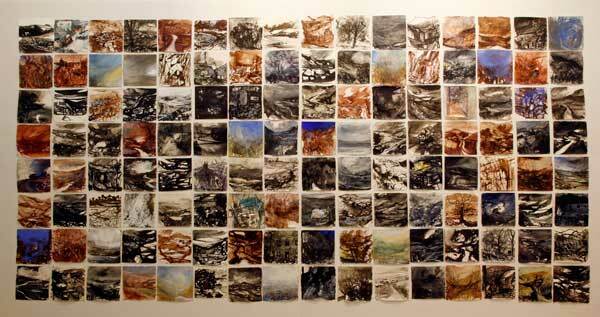 It is for her a way of thinking about and exploring the landscape. 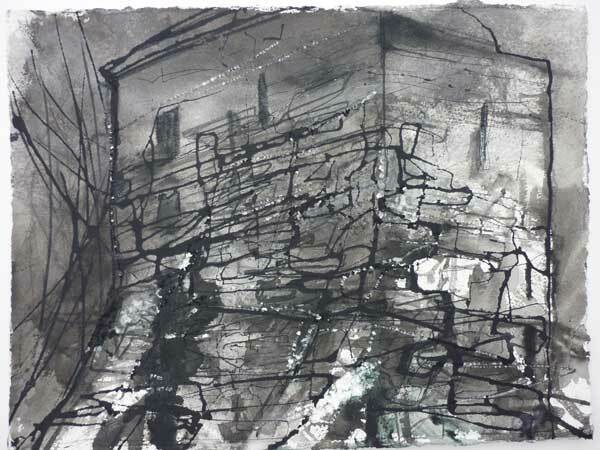 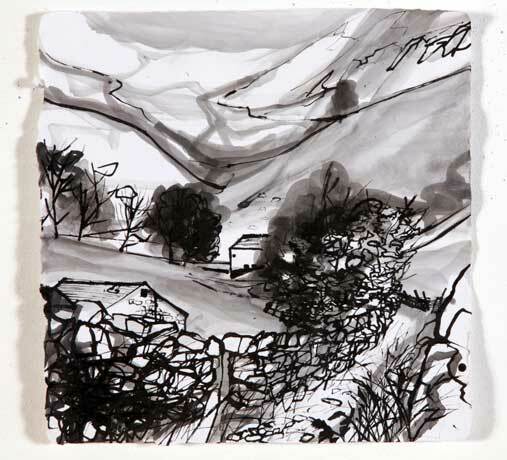 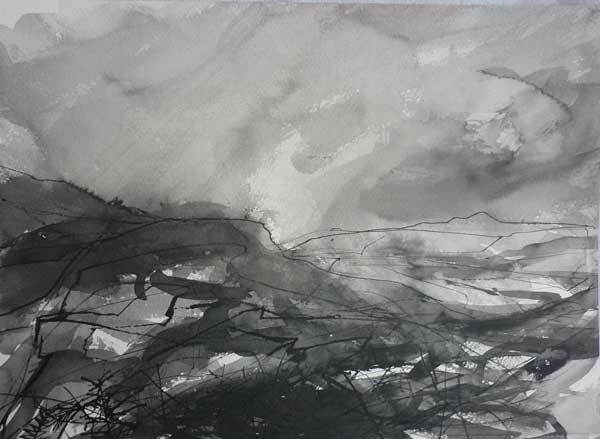 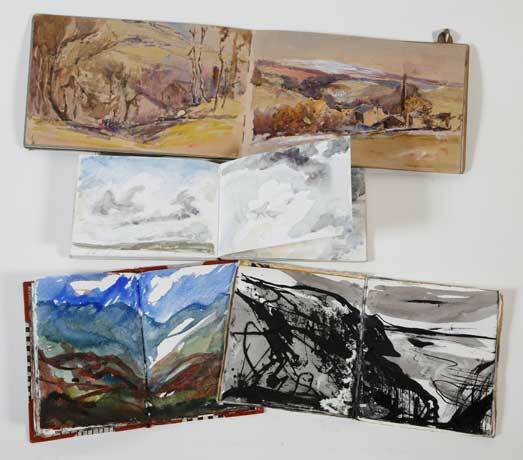 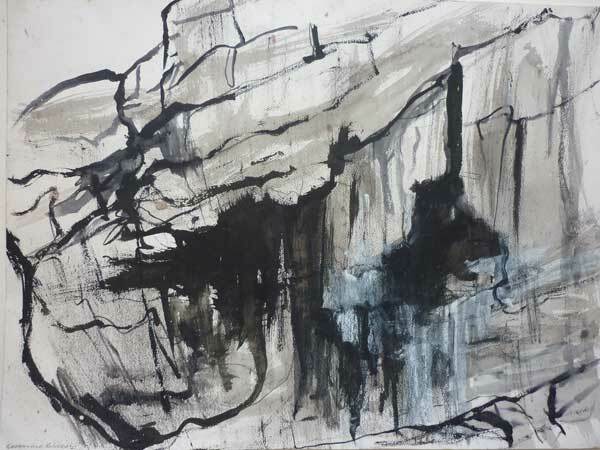 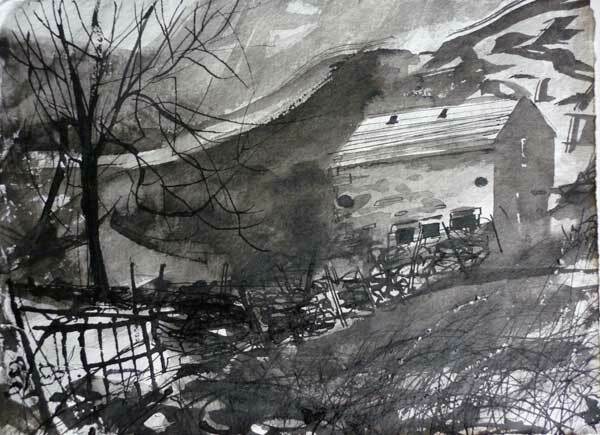 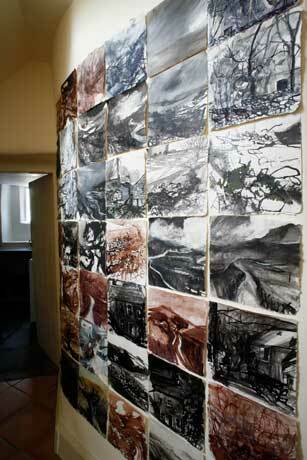 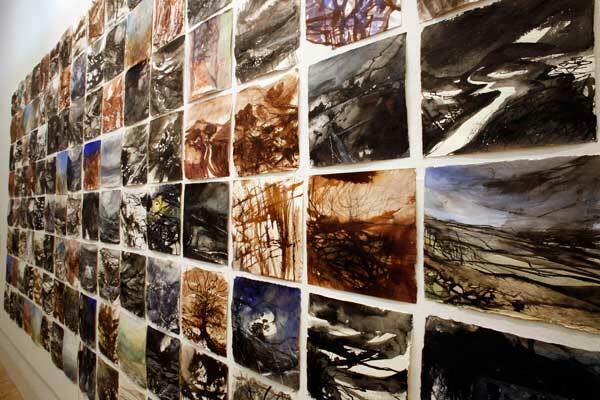 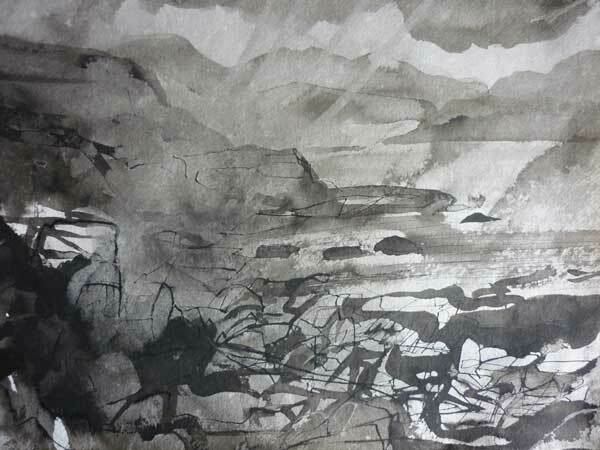 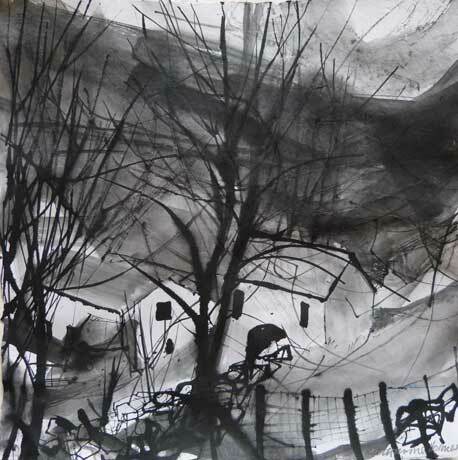 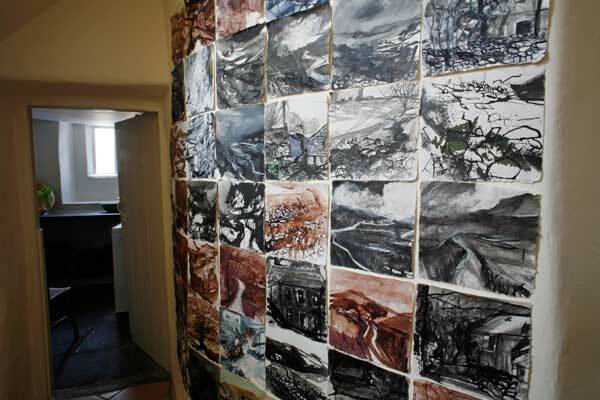 In 2009 Katharine began to experiment with presenting series of drawings unframed and unglazed. 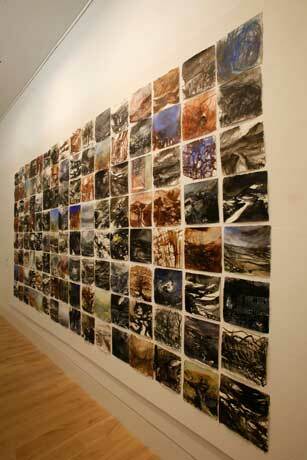 In the installation at the Stanley and Audrey Burton Gallery, Leeds University that year a large number of small regularly sized drawings were pinned like a patchwork quilt across the gallery wall.